CBS Affiliate WMAZ news out of Macon, GA reports that two men and a teenage boy were fishing on a boat at Lake Tobesofkee a public not private lake, when multiple shots were fired from an assault rifle from a balcony. Luckily no was was injured and they left their prime fishing spot quickly and called the Bibb County Sheriff’s department. They knew exactly where from where the shots had been fired because the assault rifle had been using a laser sight which was clearly visible at night. It is hard to confuse a gargantuan home nearby. 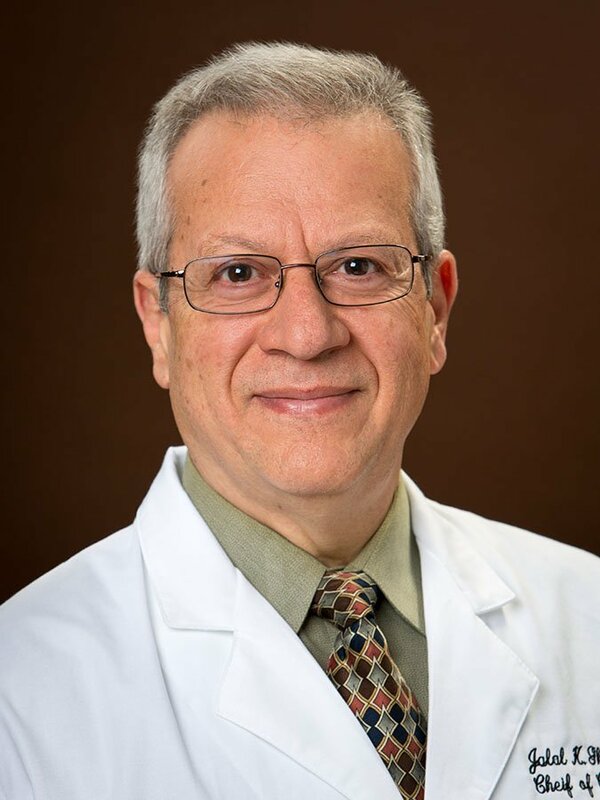 The home they pointed to belongs to cardiologist Dr. Jalal Ghali, a Mercer University School of Medicine faculty physician. The fisherman reported though they were fishing at night, they were very quiet and not making any noise or playing any music. Noisy people don’t catch fish. They had cast their anchor and were peacefully fishing on a public lake in a spot they had fished at numerous times before which was apparently their honey hole. One of the fisherman said that all of a sudden between five to around 8 shots came whizzing by them and hit the water around 10 feet from their boat. Even though it was dark they saw the figure of a man holding what appeared to be an assault rifle standing on the balcony from the direction of where the shots had been fired. Presumably there was also some lighting inside the home which made it even easier to see the figure. This was a very large house that they were later able to easily identify to deputies. The figure on the balcony that fired the shots had used a laser sighter which is also very visible and helped them identify the house to deputies. Bibb County sheriff’s deputies responded to the scene and went to Ghali’s home. While at the home, an “older male” spoke to the deputies through a glass door. When they asked him to step outside so they could speak to him, the male declined and told the deputies to come back in the morning after he talks with his lawyer, the incident report states. “He also stated that this could wait until the morning because he was on call,” the incident report states. “At this time the older male turned off all the lights to the residence and walked away from the door.” “The older male that came to the door was believed to be Dr. Jalal Ghali, a cardiologist in Macon,” the report states. Sheriff’s office spokesman Lt. Sean DeFoe said Monday the case is being investigated and no arrests have been made. 13WMAZ spoke to Ghali on Monday, but he declined to comment. “We weren’t on anyone’s property. We had our (fishing) licenses. We paid to get in the park. We were on the lake. That’s county property,” Smith one of the fisherman was quoted as saying. Here is what is not in dispute. The home belongs to Dr. Jalal Ghali. The man that the deputies spoke with was almost certainly Dr. Ghali since he said he couldn’t speak with them because he was “on call”. Unless another older doctor lives in his mansion it appears Dr. Ghali was the person that spoke to the deputies. Also not in dispute is shots were fired from that house and very likely from the balcony since three fisherman observed a figure standing on the balcony with what appeared to be an assault rifle. Seeing a laser at night on a dark lake makes it unlikely the fisherman would later be confused about the house. Also not in dispute is Dr. Ghali feels he needs to speak to his lawyer which is a sure sign he feels he has a reason to do so. Why would anyone say they can’t speak with deputies until they speak with their lawyer if they approach your home unless they have some concern that they have done something wrong. The normal response would be to open the door and find out why they were there. Perhaps a family member had been in a car accident, maybe a criminal was in the neighborhood, there are all sorts of reasons the deputies might approach a house beyond arresting a person and most innocent people would not immediately think to say they need to speak with their lawyer. But here is what I found most interesting at all. Because this was a large lakefront mansion, when the deputies were summarily dismissed they obliged with barely a whimper. Now imagine if shots had been fired from the porch of a house in another less wealthy part of town without 30,000 square feet homes? Yep, they would have been dragged out, likely the assault rifle confiscated, and very probably arrested on the spot and dragged to jail. It seems justice in Bibb County Georgia depends on the size of your bank account or more accurately on whether you can afford a high-priced attorney. But Macon, Ga is no different that so many other towns all over the country where people are treated differently by police depending on their bank accounts and not the crime. Remember that possibly eight shots were fired at close proximity to three individuals. There was a risk of injury or death. It is also against the law for shots to be fired inside the city limits. At the very least you would expect them to demand to see the rifle or issue a citation for firing inside city limits. Apparently this is the rich version of old men yelling at people to get off their lawn. But unlike most people that almost certainly would have been arrested or at the very least questioned and had their property searched, this doctor dismissed the deputies like they were hired help and they let him treat them like servants. It appears some seem to be a bit too territorial about people fishing on a public lake too close to their property. This reminds me of a case in California where a rich Indian entrepreneur named Vinod Khsola with an oceanside mansion tried to block access to a public beach. If you think the rich and the rest of us aren’t treated differently by the police, think again…. 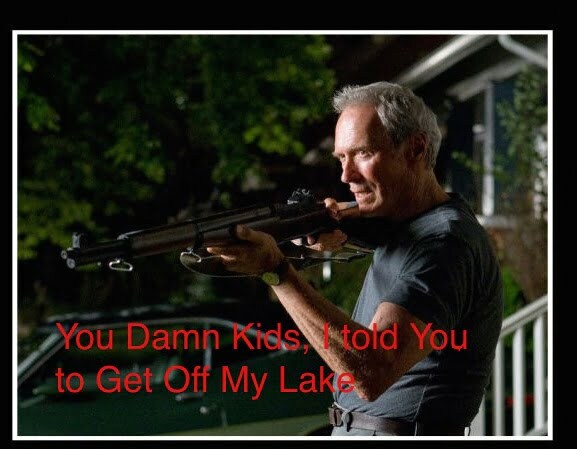 then get off my damn lake and apparently stay off MY beach as well if you are in California. Is this one of those ” Good Guys” that so many of us did not want to shop with at krogers weekly with the insane open-carry law. Sometimes its just difficult to know the good ones from those that wish folks harm. Probably self defense since the fisherman and boys had fishing poles. Ridiculous as the culprit in the house would have had residue on their hands at first police visit. Many in Bibb would love to do just that. He was also against medical cannabis oil for desperately ill people in need as well. Sheriff Davis has been a massive disappointment. Tonight on the news he said they “will look into it”. Translation he will do nothing and wait for people to forget about it. The doctor’s address is not within the city. However, the discharge of any firearm within the Lake Tobesofkee Recreation Area is unlawful. Since consolidation all of Bibb county is now within the city. Technically there is no more city of Macon. We are all now Macon-Bibb. But you are correct, even before consolidation the discharge of a firearm especially aimed at other people was against the law because that is a residential neighborhood. Lake Tobesofee Recreation Area has it’s own set of rules (which may be found on their website). That is one of them. I don’t disagree with you. I think we are on the same page. I just wrote that comment so others would understand. I am getting views from people all over the country and even world and they would not know about our consolidation so I needed to clarify it for them. Really care to know more about the bull crap in Macon ? For instance, for 3 years I tried to get the GBI, the DEA, and Macon to bust up the Villager Inn on Harrison Rd near I475 and Eisenhower. No one would do anything about an entire motel full of drug dealers and whores, even sold crack at the check in counter. Finally, Sept 19, 2013 I was ready to take matters into my own hands and wrote Sheriff David Davis telling him that if someone didn’t take care of the place real soon concerned citizens may pull a taxi driver on the Villager, and have him credentials to show I would no longer sit by. On Sept 23, 2013 US Marshalls raided the Villager netting over 20 arrests. A Macon Dr. by the name of Sedgi owned Villager and another motel off of Riverside ( also used by whores). In a deal after the arrests Sedgi was allowed to sell Villager, vice have it confiscated. Wow…I knew things were bad around Macon but no idea that bad.